All dogs need at least a little bit of grooming over the course of their lifetime, even if it’s only regular nail trims and the occasional bath. Whether you groom your dog yourself or take them to a groomer, it should be a positive experience for your dog. Unfortunately, things can go wrong and accidents can happen. Luckily, there are things you can do to help ensure your dog stays safe during a grooming session. Your dog should look forward to your grooming sessions rather than dreading them. A happy dog is more likely to hold still. Most accidents occur because a dog is wiggling or trying to get away. This is one of the top causes of owners accidentally injuring their dogs. 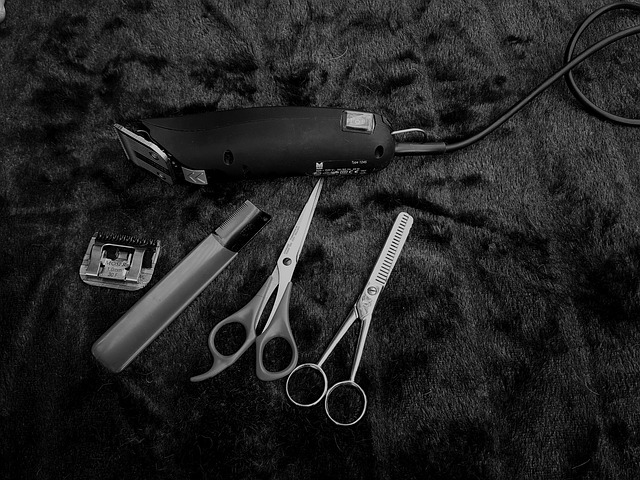 Use a #10 blade on clippers to gently shave off mats. Skin can get pulled up into tight mats, making it easy to cut the skin if you try using scissors to cut mats out. Rushing is another common way for accidents to happen. Break grooming into several smaller sessions if necessary to keep yourself and your dog calm. There’s no worse feeling than injuring your dog because you were rushing their grooming. Whether you watch a ton of YouTube videos or talk to a professional groomer, learn as much as you can before grooming your dog to avoid the most preventable accidents. Currently, no state in the United States requires groomers to have any licensing. The facilities may be licensed, but the groomers themselves are not. That means anybody can buy a pair of clippers, watch a couple of videos, and declare themselves a groomer. There’s a huge learning curve in grooming. Look for somebody who has been grooming for at least 5 years. 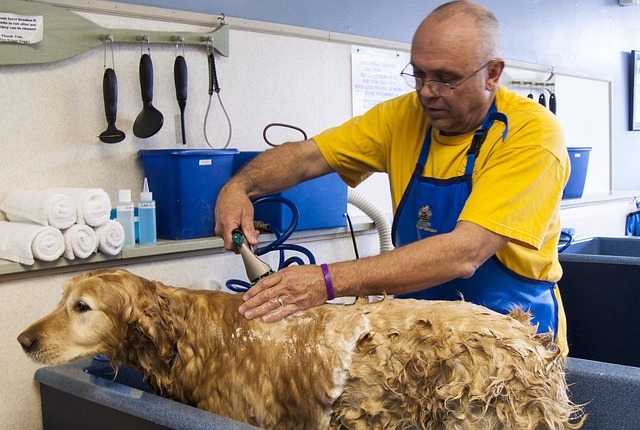 While there isn’t any mandatory licensing for groomers, there are ways to get certified. Groomers with certifications have taken the time, expense, and often travel to go through intense written and practical testing to prove their skills. They may charge more than other groomers, but their certification shows their dedication to their craft. Bonus points go to groomers who are familiar with how to do CPR on dogs. In particular, ask what kind of dryer or dryers the groomer uses. Kennel dryers can cause problems for brachycephalic (flat-nosed) dog breeds. Heated dryers can cause dogs to overheat. And high-velocity dryers can be frightening for sensitive dogs. Good groomers will know the best way to dry various breeds and personalities of dogs safely. You also want to make sure the facility looks and smells clean. You may not be allowed into the grooming area for liability reasons, but unless a mess is actively being cleaned up, the grooming salon should smell clean and there shouldn’t be excessive amounts of hair on the floor. Is your dog afraid of the dryer? Does he panic if placed in a kennel? Do they tend to bite when having their nails trimmed? The more information you can give the groomer, the easier it is for the groomer to keep your fur child safe during the grooming appointment. Don’t be embarrassed to admit that your dog has problems with certain parts of the grooming process. A good groomer will be able to work around those things, especially if they’re aware of them ahead of time. Having detailed conversations with the groomer at the beginning of the appointment also ensures the groomer knows exactly what type of haircut you’re looking for, reducing the chances of you coming back to a surprise when your dog doesn’t look at all the way you expected. 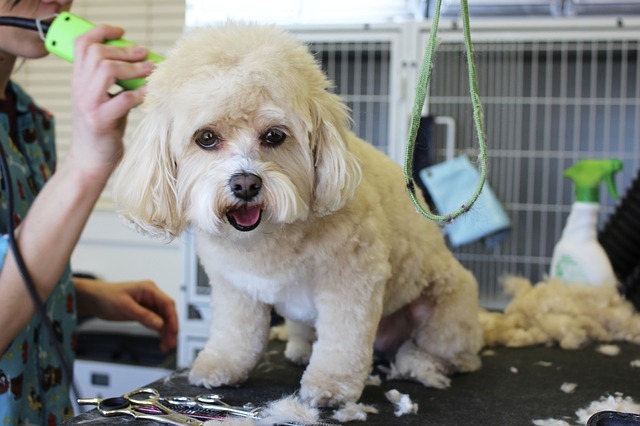 It’s great to watch how the groomer handles dogs during the grooming process – but if your dog can see or smell you, they are likely to act up during the grooming because they will be trying to get to you instead of being calm for the groomer. Watching your dog get groomed can actually CAUSE accidents sometimes. Unless there’s a way to watch the process without your dog seeing you, it’s safer not to watch. Do ask if a groomer uses cameras in their salon – if you suspect your dog was abused during an appointment, a camera can show exactly what happened. These days, there are plenty of opportunities for people to leave reviews of groomers, whether it’s on Google, Yelp, or the business’s Facebook page. Keep in mind that accidents can happen, and there may be the occasional nasty review, but a groomer or grooming salon should have overall positive reviews. Infrequent grooming with a different person every time can cause dogs A LOT of stress, which increases the chances of an accident happening. If your dog can develop a relationship with one groomer who they see on a regular basis (usually at least every 8 weeks, depending on the breed), your dog will know what to expect from the grooming appointment and will be more relaxed, reducing the odds of any accidents happening. This also allows the groomer to get to know your dog and recognize any changes in him. Groomers are often able to spot health changes (like bumps, skin changes, fur changes, or personality changes) before owners who see their dogs every day.